From homes to automobiles, traditional light sources are rapidly being replaced by LEDs. base lights, down lights, indirect lighting fixtures, and signs. From an early stage, Enplas turned its focus to LED lighting which has low power consumption, a long life, and is environmentally friendly and developed LED lenses, leveraging its ultra-fine precision molding and processing technology and light control technology. Based on the technical strength backed by patents obtained in countries around the world, we comprehensively support our customers’ lighting design and development with proactive proposals towards final products as well as lenses. We are ready to flexibly respond to customers’ requests such as unit shape and size, placement pattern of LEDs, and further cost cutting with reduction of LED etc. Based on our original luminous flux control technology, which allows for the control of strong directional light, we develop LED lenses which fulfill the various needs of customers. Based on the foundation of optical design technology cultivated with imaging system lenses and the light guide plates, we developed the optical components suitable for LEDs. 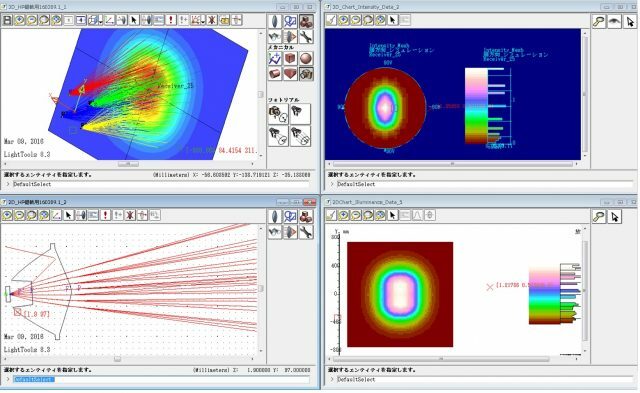 Using optical simulation, we achieve a reduction of prototypes and overall design time. Using various measuring instruments capable of evaluating a wide range of such things as the characteristics of surface emission, surface irradiation and outgoing beam, we conduct evaluation of optical systems suited to the characteristics of LED. Based on the ultra-precision processing technology cultivated from the manufacture of imaging system lenses and the microfabrication technology accumulated from the manufacture of light guide plates, we create highly advanced optical components. In addition, we are expanding our past accumulated know-how of molding irregular thickness and thin-walled products into mass production capabilities. We have a wide variety of standard lenses to meet customer’s immediate need. We currently mass produce a large supply of cutting-edge lenses based on global patents. Customers selecting a lens suited to their new lighting device design can expect speedy delivery after lens selection. By controlling the diffusion of light, we can achieve cost saving by reducing the number of LEDs, as well as meet requirements for thinner backlights. We have a wide variety of products to meet various customer needs in the lighting field. In response to the growing LED sign market, we have created a wide variety of solutions for customers. Enplas Electronics (Shanghai) Co., Ltd.